Oh dear this wasn't the most nutritious, well balanced or most colourful of lunches. 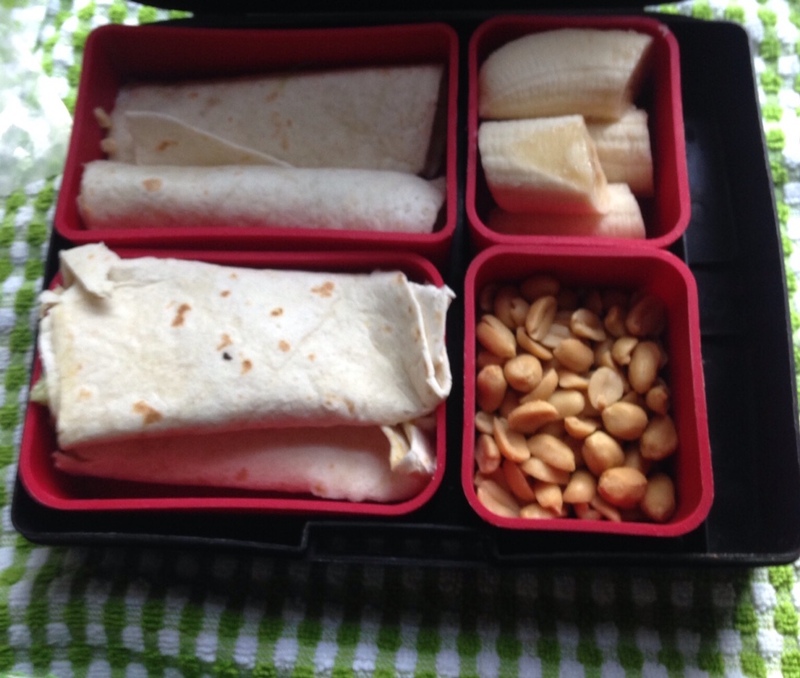 What is was was the left overs from a camping trip. 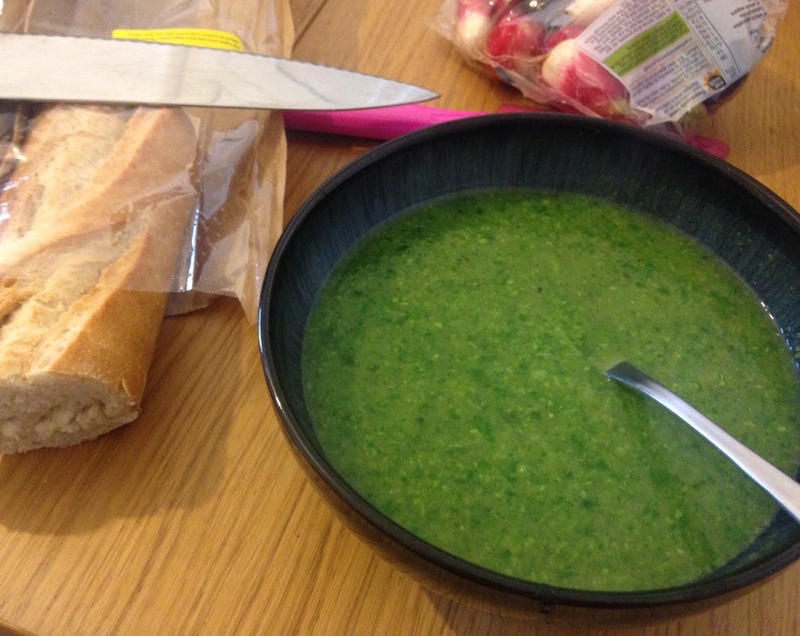 Happily a chum made me soup from lots of green things for dinner to balance me out a bit!